The Story of the Amiga In Pixels by Chris Wilkins is now rolling out and people is getting it and showing it to others on YouTube which is great. Here we found a user reading it together with his cat. 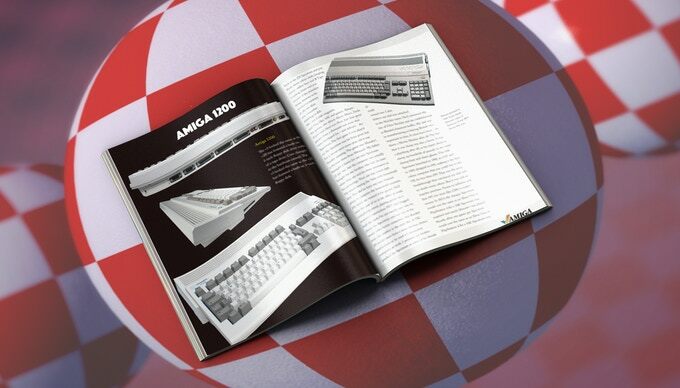 This is a high quality book about the Amiga in 268 colorful pages that many have helped on the Kickstarter page. This book by Chris Wilkins got 1422 backers that gave him £60,890 for helping this Amiga book project to life. The product looks really good as you can see on the vide below. It got the genuine Amiga feeling to it with the author putting both the Amiga checkmark and the newer Amiga boingball also into the same book. Many nice illustrations and some even got more stuff than just the book also. This book is really for everyone wanting to know about the Commodore story and more with nice layout. Many will learn a lot from this book for sure. If you wonder about if you still can support Chris, then you can! For £25 you get the book, I Love Amiga badge, I Love Amiga pen, David Whiitaker CD and a bookmark with Amiga illustration on it. 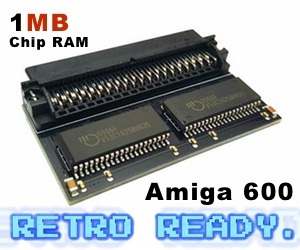 This is for sure a product that is compatible with any Amiga user out there, but it is also for those that really wants to know about Amiga history. 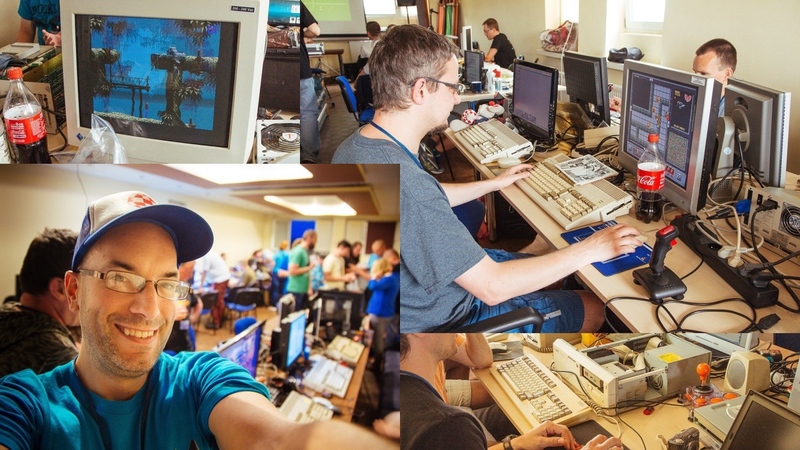 Amiga History In Pixels is a great read for sure! When you pledge £65 or higher, you also get a launch copy of Retro Now, which is a totally new paper magazine that contains 68 pages of Retro content stuff. With this magazine you can together with our Disvida – Television Nostalgia page from Distrita be totally Retro time inspired. Support Chris because of all the time he spent with this book. Its a masterpiece and it’s nice to know that this product gets shipped to anywhere in the world also. 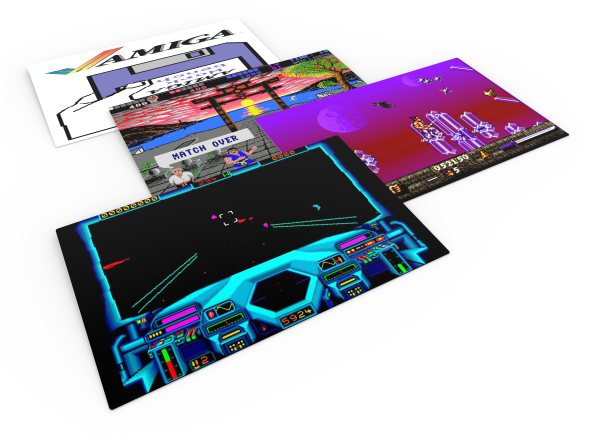 Here is a selection of signed gaming postcards that you also can order ! 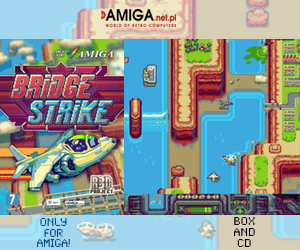 Amiga History In Pixels really delivers.